Inaugurating Alexander Gray Associates’ new gallery space on the second floor of 508 West 26 Street, What’s Left: Art Made by a Public showcased four significant artworks made since the 1960s that were activated by public engagement. Situated between conceptualism, performance, intervention and public art, the exhibition raised questions concerning documentation and archive, event and object. 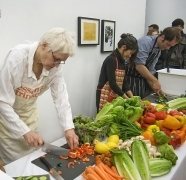 Alison Knowles’ #2 Proposition (Make a Salad) (1962) is a seminal Fluxus piece, a performance-based artwork set to a Mozart score, with the artist preparing a salad for the audience. 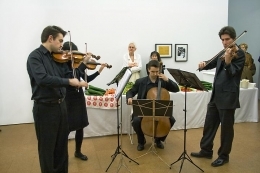 #2 Proposition premiered in 1962 at the Institute of Contemporary Art London, and was more recently presented at the Wexner Center for Contemporary Art (2004) and the Tate Modern (2008). The work took place during the gallery opening on Friday, February 19, 2010. Documentation was presented in the exhibition. 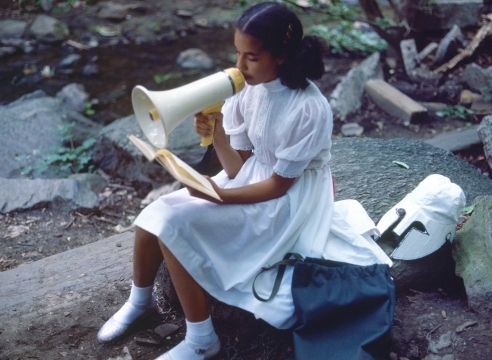 Lorraine O’Grady’s Art Is..., a 1983 performance intervention in the African-American Pride Parade was made in response to a fellow activist’s challenge that “avant-garde art doesn’t have anything to do with Black people”. Photo-documentation of the resulting artwork, made specifically for a non-art world audience, shows performers interacting with parade spectators, framing people and the Harlem street scape with gold frames in an affirmative, joyful encounter. 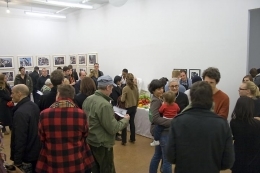 O’Grady is included in the 2010 Whitney Biennial. 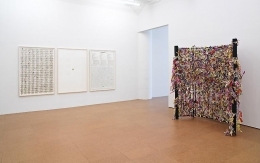 Paul Ramírez Jonas' Talisman I (2008–2009) is a triptych containing the objects from his public art work in the 28th São Paulo Biennale 2008, curated by Ivo Mesquita. 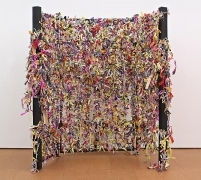 Building on the exhibition's theme of “in living contact”, the piece is comprised of hundreds of house keys exchanged by Sao Paulo residents to keys to the Biennale's building, along with the contract that was signed by each participant. Talisman extends Ramírez Jonas' interest in social contracts, manifested in earlier public works in Cambridge, MA; and will be further explored in Key to the City, a New York city-wide project to be produced by Creative Time in May 2010.